First Congregational is a non-credal church. That means you don’t have to believe exactly what everyone else believes, or check off all the boxes on some ancient text. We deepen faith by studying scripture, our tradition, science, current affairs… pretty much anything that helps us make meaning and change our lives and the lives of those around us for the better. First Congregational offers many opportunities outside of Sunday morning worship for members, visitors, and those interested in learning more about our church, to explore questions of faith and to participate in activities that strengthen the covenant relationship we share with one another, with our church, and with our pastor. On the second Wednesday most months, we hold Messy Church. This casual worship opportunity is focused on children and the young at heart, and includes food, crafts, music, and games. Approximately 1 hour long, downstairs in Jonathan Fisher Hall. Messy Church is for church people and for people who don’t go to church. We’re not perfect. We don’t expect you to be either. 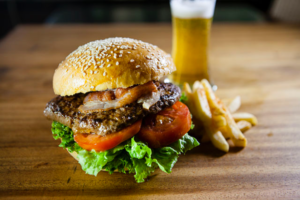 Come and get messy with us. Join us as we break bread and raise a cup in an all new way, over dinner and drinks! Pastor Gary brings this highly successful model for small group learning to Blue Hill. We gather at a local restaurant for a brief introduction to the topic, then we will share thoughts and questions. As we journey together in our understanding of what being a Christian means in today’s world, Living the Questions offers an opportunity to explore our faith while developing a new relationship with God and each other. 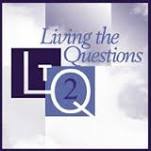 LTQ is a 3 part series, each is a seven week study involving brief weekly readings, watching a 20 minute video together, followed by questions and open discussion. Saving Jesus Redux is a 12 week session exploring a credible Jesus for the third millennium. Join us in living the questions, as we explore how our Church can remain relevant, meaningful and proactive in our community and the world. 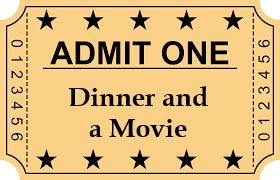 Join us for a brown bag dinner and a movie! We’ll watch a film together and then discuss its spiritual themes and implications. Movies range from documentaries on current issues to Academy Award nominees. Once a month or so, hosted by the Deacons at the church. 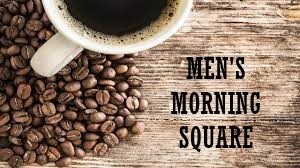 Men’s Morning Square is a group that gets together on the 2nd Saturday of each month throughout the year to break bread and enjoy fellowship. We have little structure and no agenda, but will work on church projects as the Spirit moves us! Pilgrim Lodge is a UCC camp in West Gardiner, Maine. There are many opportunities for camping experiences for all ages of kids and adults, all focused on helping people grow as Christians. They achieve this growth through week long experiences in group living, involving exposure to the world of nature, helpful caring relationships, experiences in sharing, recreation, fellowship, and worship. 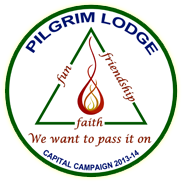 For more information go to www.pilgrimlodge.org.